Portland cement was partially replaced by metakaolin (MK), silica fume (SF) and ground granulated blast-furnace slag (BFS). Globally, two amounts of SF (5 and 10 mass%) and total substitution level of 35 mass% were used to prepare blended samples. 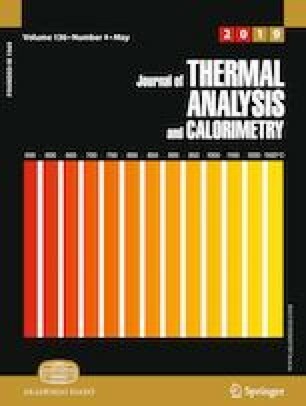 Their early and 28 days hydration was studied by means of isothermal calorimetry and thermal analysis. Developed phase composition was assessed using compressive strength measurements. Acceleration of cement hydration in early times was proved and reflected higher amounts of finer additives. Despite dilution effect, the presence of more reactive SF and MK resulted in pozzolanic reactions manifesting already before 2 days of curing and contributing to the formation of strength possessing phases. The influence of BFS addition showed later and thanks to the synergic effect of all the used additives; it was possible to increase its content up to 25 mass% by keeping the compressive strength values near that of referential one. This work was supported by courtesy of APVV-15-0631, Slovak Grant Agency VEGA No. 2/0097/17 and by Project Sustainability and Development REG LO1211 addressed to the Materials Research Centre at FCH VUT.